George P. Johnson or GPJ is an American multinational corporation that specialises in event marketing and brand marketing, with headquarters located in Auburn Hills, Michigan, United States. GPJ operates primarily as a marketing and advertisement firm, providing digital, multimedia and physical marketing interactions, as well as offering brand management services and consulting, however GPJ specialises in more traditional physical event management. GPJ has a wide variety of clients in various industries: automotive, technology, software, food & beverage, entertainment, including over 40 "Fortune" 500 Companies. Doner is wired to create audacious things for ambitious brands - big ideas that start brand stories, infect culture and incite action. Outside Plant, Fulfillment, Business Technology, Residential Technology repair. Crain Communications Inc is an American multi-industry publishing conglomerate based in Detroit, Michigan. with 13 non-USA subsidiaries. Helping industry professionals succeed by providing superior information and industry expertise via our B2B brands since 1926. Embossing Printers Inc. provides marketing and supply chain services. It offers offset printing, digital printing and print-on-demand, flexographic printing, large and grand format printing, and finishing services; and packaging services, such as automated collation selective insertion, slitting and collation, automated batching, hand assembly and kitting, automated cartoning and insertion, shrink wrapping, finseal overwrapping, automated cello-bagging, labeling, and tipping. The company also provides creative services that include market research, strategic planning, media planning/buying, content development, branding, advertising, direct marketing, CRM, digital/social marketing, SEM-SEO, and public relations; and merchandising and e-commerce services, such as product development, sourcing and supplier management, catalog assortment planning, copywriting, merchandise photography, catalog and Website design, catalog and Website production management, advertising and promotion management, licensed merchandise development, and inventory management. 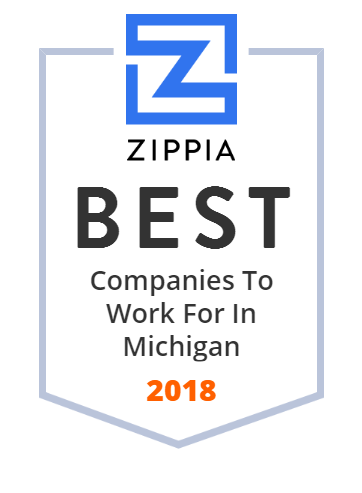 It serves life science, consumer products, insurance and financial services, automotive and durable goods, e-commerce and catalog marketers, retail and franchise, education, publishing and games, and in-plant outsourcing support industries. Embossing Printers Inc. was formerly known as Embossing Letter Service, Inc. and changed its name to Embossing Printers Inc. in 1966. The company was founded in 1959 and is based in Battle Creek, Michigan. The Catholic Diocese of Lansing is located in Lansing, Michigan. C & G covers news close to home with 19 weekly newspapers mailed to more than 600,000 households in Macomb, Oakland and Wayne counties. Faith Alive is the publishing ministry of the Christian Reformed Church; it is also the resource provider of the Reformed Church in America. Studio One is a content marketing company based in New York City. Studio One creates branded or brand-aligned content in a variety of formats that are distributed across a network of websites. On October 7, 2014, Studio One was acquired by The CHR Group, a global marketing services holding company headquartered in New York City. The Mining Journal is the predominant daily newspaper of Marquette, Michigan, and the Upper Peninsula of Michigan. WDIV-TV, virtual channel 4, is an NBC-affiliated television station licensed to Detroit, Michigan, United States.